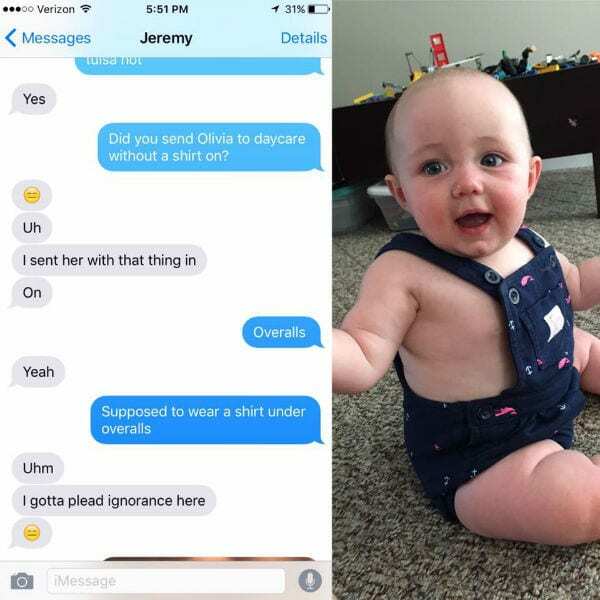 This Dad's HYSTERICAL Daycare Wardrobe Fail is WINNING the Internet—Cue the Cry-Laugh!! 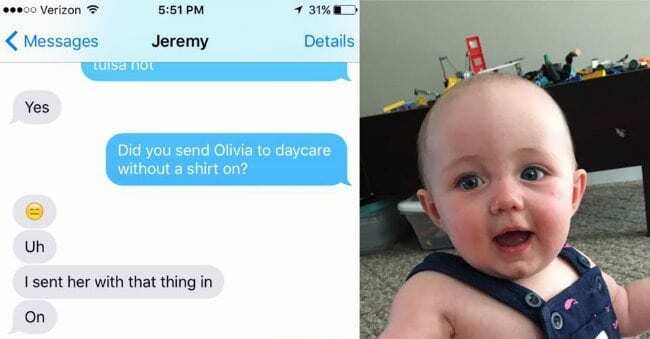 Home Family & Parenting Babies & Toddlers This Dad’s HYSTERICAL Daycare Wardrobe Fail is WINNING the Internet—Cue the Cry-Laugh!! 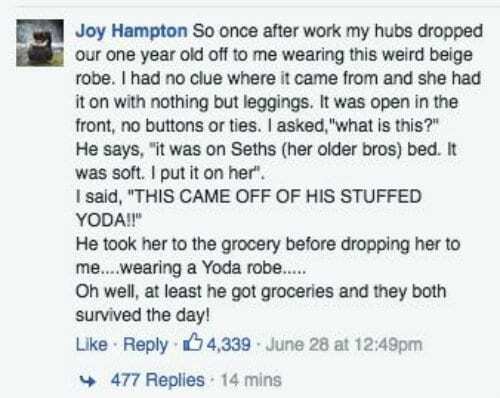 This Dad’s HYSTERICAL Daycare Wardrobe Fail is WINNING the Internet—Cue the Cry-Laugh!! “My darling husband Jeremy got the baby dressed and took her to daycare this morning. This is how things went down when I picked her up! Hawley-Basso’s post CLEARLY hit a nerve with moms, as it’s been shared nearly 28,000 times in a week! 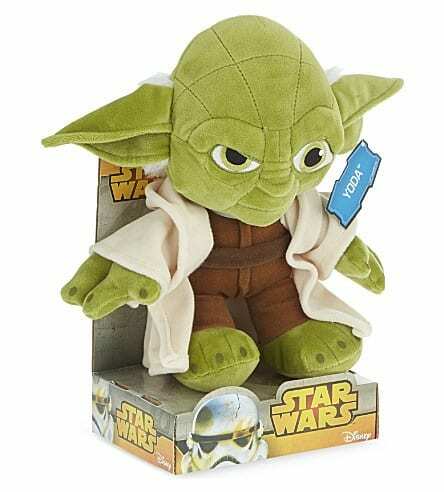 This is NOT the baby outfit you’re looking for…? But this one is pretty amazing, too! Hey, some of those Build-a-Bear outfits are FANCY!!!! ? Dads—WE LOVE YOU!! Thanks for taking care of those babies! And thanks for dressing them weird sometimes! Because I NEEDED this laugh!